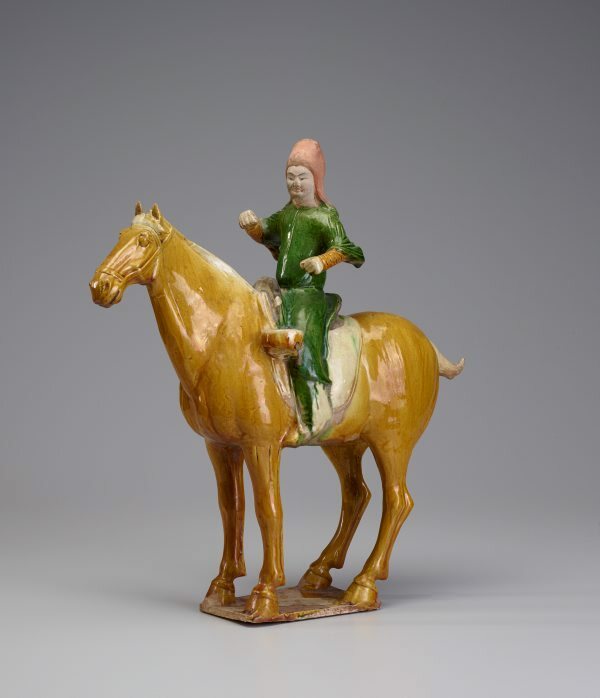 Edmund Capon., Art Gallery of New South Wales collection series 2 , 'Chinese, Tang dynasty: Horse and rider', Sydney, 1982, cover (colour illus. ), inside (illus.). fig.no. 1. Detailed image. Edmund Capon, The Connoisseur , 'Far Eastern Art in the Art Gallery of New South Wales', pg. 22-29, London, May 1980, 23 (illus.). Lynette Gurr, Australian Art Review , 'Friends of Museums and Galleries, The changing role of gallery societies', p107-108, Rozelle, 1982, 108 (illus.). Jackie Menzies, Asian Collection Handbook, Art Gallery of New South Wales , 'Early Chinese Art', pg. 18-29, Sydney, 1990, 25 (colour illus.). Jackie Menzies, Look: 1953-2003 celebrating 50 years , 'Asian Treasures', pg. 57-59, Sydney, May 2003, 59 (colour illus.). Look , 'Gifts of the Art Gallery Society to the Gallery 1959-1994', pg. 18-19, Heidelberg, Aug 1994, 18 (colour illus.). Australia's national collections , Sydney, 1980, 252 (illus.). Portrait of a Gallery , 'Asian Art', pg. 106-113, Sydney, 1984, 4 (colour illus. ), 106, 107 (colour illus.). Early Chinese Art , Sydney, 1983, (illus.) Not paginated. cat.no. XXXII. See 'Further Information' for text. The Asian Collections Art Gallery of New South Wales , 'Tomb Sculpture', Sydney, 2003, 86 (colour illus. ).